Dubai, U.A.E., 23 August 2017 – Dubai Aerospace Enterprise (DAE) Ltd. has announced the delivery of an Airbus A320-200 aircraft to new customer, flyadeal. The delivery took place at the Airbus delivery centre in Hamburg, Germany, and represents the first aircraft in the flyadeal fleet. The Dubai-based lessor has agreed to lease eight Airbus A320 family aircraft to the new Saudi Arabian low cost airline. All aircraft will come equipped with CFM 56-5B4/3 PIP engines. These modern, fuel-efficient planes will be delivered in 2017 and 2018 and are part of a direct order DAE has with Airbus. flyadeal is a subsidiary of the internationally-acclaimed Saudi Arabian Airlines group. The airline will offer low-cost travel options to leisure and business travelers and service destinations in the Middle-East and beyond. 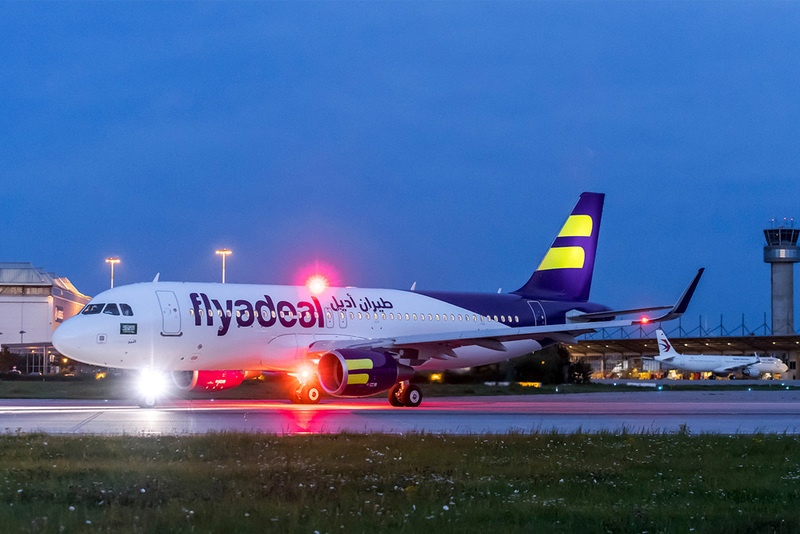 flyadeal will begin flight operations in September 2017.